Stevi B's has closed near Northlake Mall. 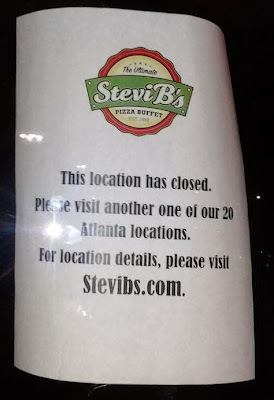 Atlanta-based Stevi B's has closed at Briarcliff Village. The 6,200 square foot pizza buffet restaurant, which opened in October 2009, reportedly quietly closed about two weeks ago. Stevi B's is similar to Coppell, Texas-based CiCi's Pizza, and offered economical pizza buffet options predominantly targeting families. A franchise of Atlanta-based Uncle Maddio's Pizza Joint opened a new location in nearby Northlake Festival this past May, and undoubtedly took business from Stevi B's. While neither pizza concept offers especially healthy or high quality pizza, they both appeal to families and offer economically priced pizza, with Uncle Maddio's likely winning over consumers with the customization and gluten free options they offer. Stevi B's was started by brothers Richard & Bobby Stoll in 1996 . 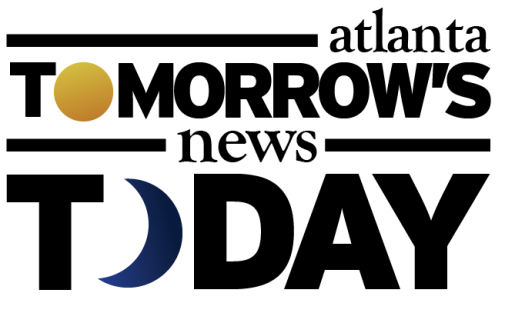 The Stoll brothers grew the company to 28 locations across eight states, before selling it to Atlanta-based Argonne Capital Group in 2008. The Stoll brothers got back in the restaurant business in 2007 when they opened Cheeseburger Bobby's in Kennesaw. Today Cheeseburger Bobby's has ten locations open with an eleventh coming soon to Columbus, Georgia. Today there are about 50 Stevi B's across ten states with 27 in Georgia. Aside from the recent Northlake closure, a brief internet search revealed at least one other Stevi B's closure, this one in Montgomery, Alabama. Northlake is reportedly a highly sought after trade area for restaurants, and it will interesting to see how long the Stevi B's space stays vacant. (Regency Centers still shows Stevi B's as the occupant of suites 001D/E on its site plan for the center on its website.) The space is directly next to Panera Bread and the center has Office Depot, Publix and T.J. Maxx as anchor tenants. Last year, Chipotle Mexican Grill opened in place of a freestanding Pizza Hut in an outparcel of Briarcliff Village. this stinks. We actually ate there or got takeout every once in a while. It looked like it always had a steady flow of patrons, but I guess not enough to meet proforma estimates. The 'game room' area was a joke and I doubt lured many parties. Stevi B's Cartersville has also closed within the past two weeks. It's ridiculous to close a restaurant because it made $400,000 in profit instead of the $500,000 that they wanted it to make. Dumb dumb dumb.  If it's making money, keep it open. Could you add some context to support that claim? Maddio's appears to market itself as a healthy choice. Whether or not that's true, I don't know. I also don't know what the assertion that they don't offer 'healthy or high quality' means. Stevi's offered a whole wheat crust, at least a couple of thin crust options, and they used stretched dough for the crust (not a pre-formed crust). Maddios offers thousands of pizza permutations, and can be as healthy as a person likes. I guarantee that in a blind taste test, Maddios is indistinguishable from some of the big-name places that get a lot more hype. Quite a bit of the current staff at Maddios used to be at Stevi's and I guess we'll get our pizza fix at Maddios (although Bambinelli's and Mellow Mushroom are good too). Thanks for your readership and for the comments. Live in the area, never ate at Stevie's. I don't care for Bambinelli's crust. Pretty much go to Mellow for take out. Shorty's is good stuff and N. Druids and Tucker are equidistant. Never realized they had other locations, but it makes sense given the generic logo. I remember seeing that sign once and had forgotten they even still existed. I agree with the assertion about the quality of Uncle Maddio's. WW flour does not equal whole grain goodness. The toppings certainly aren't locally-sourced or organic. I'll stick with Chipotle in that area, thank you very much. we were also thinking that a Bobby's would be good there. But if the Stevi's couldn't make a go of it, I'm not sure how well a Bobby's would do. The Stevi B's space is over 6,200 square feet whereas the typical Cheeseburger Bobby's is is around 2,000 square feet. Industry sources also say Regency is asking a high rent for the space. if we didn't already have S&S at Embry Hills, I'd want them to move in. Or maybe they can put a smaller outpost in there. It won't happen (they have few locations, and I don't think they like high rents), but a solid southern cafeteria could do pretty well. Kaycees and the picadilly don't count. I assure you it wasn't making anywhere near $400-500,000 in profit. I rode by there about a week ago and noticed they had closed - that is too bad since I think Stevie B's is much better than CiCi's. The following day, I was around Perimeter Mall and noticed that the Macaroni Grill there had closed (which I didn't know either). Man - I hate when places I like close. I'd like to see an explanation for the comment about Northlake being highly sought retail space. Seems like demographics (income level and age specific) comes into play--both having bearing on the Whole Foods decision not to locate here. Too old, too mainstream, too mixed-income--too confusing a market. "Millionaire's Next Door" hording dollars on one end, renters living a bare existence on the other. (1) PS: Not good when three of the shopping centers are owned by the same REIT either. BTW--I appreciate your attention to Northlake commerce--keep it up. It's highly sought after by cheap, chain fast food joints. There's a good size office/industrial worker crowd in the area. Good cheap lunch business. Some of the kid- friendly sit down places draw post-soccer game and birthday parties. Nothing high-end or high-quality there. I'm fine with this place closing. The only time I ate there I saw a man jiggling his uncut wiener at me in the toilet and it was quite disgusting. If this is the kind of clientele they want to attract then good riddance! I'm sorry to see them leave. The food was mediocre at best, but no one goes there for a fine dining experience, and an AYCE buffet for six bucks is hard to beat. The price is right and the location was convenient (for me, at least), but most importantly, the staff was always great... always personable and friendly. I hope all of them are able to find new employment soon.